For those who want to understand how and why American Jews remain so liberal, the answer begins with the takeover of Liberal Jewish and Liberal Christian institutions by the far left. Formerly liberal and patriotic, the radicalization of Liberal Jewish and Christian institutions has been a marked triumph for the far left. Today Reform, Presbyterian and Unitarian institutions serve as propaganda outlets for Islamic terrorism in line with the agenda for the far left. The mission of the left has been to take over American culture by taking over American academic, media and religious institutions. The assault on religion has involved removing religion from Reform Synagogues and Churches and recreating them as political institutions. 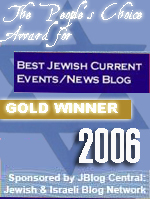 The particular means of transforming Jewish religion among liberal clergy and Reform and Conservative Synagogues into outlets for left wing ideas has been to associate the left wing agenda with a kind of warped and denuded "Jewish Spirituality" based not on Jewish law, but on "Prophetic Vision" or "Prophetic Values." This is basically a Jewish version of the Liberal Christian idea of transforming religion into a "What Would Jesus Do" checklist that begins and ends with social welfare and Gandhian non-violence. Substitute the "The Prophets" for Jesus and you have Prophetic Vision marketed toward Jews. Of course once folks like Michael Lerner get hold of them, the Prophets begin to sound a whole lot like the platform of the Democratic party. The irony is that the very people so vehement about the separation of Church and State are creating a Convergence of Church and State by making the politics of the State identical with their religion. Rather than allowing religion to guide their politics, they allow their politics to guide their religion. A good snapshot of the takeover of Liberal Jewish culture and religion by the far left begins with Michael Lerner. Michael Lerner has worn many masks going from a dedicated Marxist and the leader of violent riots in Seattle to Hillary Clinton's personal guru to the editor of Tikkun Magazine, a figure in the current left wing anti-war movement and a supposed commentator on Jewish "spirituality." As part of this persona, Michael Lerner commonly refers to himself as Rabbi Michael Lerner, even though no Rabbi or institute has been found to take credit for giving him any Rabbinical ordination. Michael Lerner began his career by writing "The New Socialist Revolution", a Marxist work describing the strategy and tactics for creating a Marxist revolution in America. The book in turn inspired many other radicals and helped Michael Lerner create the New American Movement. The New American Movement itself was Communist inspired. Michael Lerner was a founder of the Seattle Liberation Front and one of the Seattle Seven arrested for leading a Seattle riot that saw paint bombs and rocks thrown at police officers. Today Michael Lerner postures as a "moderate" critic of America and Israel, but the reality is that Lerner was and remains a member of the far left. His Tikkun Magazine is a Gramscian front, part of the Left's "Long March Through the Institutions", in this case Jewish institutions, transforming Judaism into Left Wing Radicalism. The battle between religion and political radicalism has been a long one. Left wing politics has long viewed religion as an obstacle because religion is inherently traditional and therefore often conservative. Left wing politics is premised on the idea that there is no solution except immediate reform, radical reform. Religion believes that this world is only a staging ground for the world to come. Most of all religious is a source of morality that is in competition with the political morality of left wing ideology. Liberal Judaism and Christian represent the political takeover of religion, political radicalism hollowing it out and transforming it into a mirror of itself. "Prophetic Vision" has become the central point of Reform Judaism, a social welfare agenda magically transformed into religion. The worship of a welfare state devoid of a G-d. The result is Religion Without Religion in which religious is reduced to the level of culture and politics becomes the new religion. There was another word for that, it was called Marxism. The greatest victory of the left has been its takeover of sectors of American religion, a process that began in the earliest days of Marxism. Today in the liberal camp, religion has now become impossible to separate from liberal politics. A final note on Rabbi Michael Lerner, the American equivalent of the Red Archbishop of Canterbury, comes from a former student of his. "On the day that Patty Hearst announced that she was now a supporter of the SLA criminals who kidnapped her, he told his class "this is a very good day for the people." Left seems to be the new code for communist. I'm afraid this attitude you write about is seeping into Modern Orthodoxy. Intellectualism is prevailing - What degree do they have? Where did they get it? Is he/or she college educated at all? While I know that this is not related to the latest article, I find that people often do not go back to earlier articles to keep up on comments. And, I feel this is to important to be missed. Enclosed is the opening part of a editorial from the Haaretz. It makes a point that I have been saying in your blog for some time. The Left is playing the Right for fools and generally they are doing a good job. They depend on the disorganization and meaningless ranting from the Right while they, the Left, are creating facts on the ground. Seldom in the annals of tinsel diplomacy has a show garnered such devastating reviews long before its opening curtain. Dismissed and derided from every quarter, laughed off as a lukewarm sham, the Annapolis peace summit has confounded many Middle East analysts merely by the prospect of its actually taking place. It may be a ludicrous what-if to even contemplate the notion, but if the Annapolis summit actually amounts to more than a passing footnote in the history of this region, at least we'll know some of the reasons why. 1. The settlers expect it to fail. The settlers, the canaries in the coal mine of the Israeli right, have not taken Annapolis seriously. They have waved it away as a desperate attempt by Olmert to divert attention from the myriad graft investigations which threaten him. They ought to know better by now. The settlers made precisely the same statements when Ariel Sharon first announced his plan for removing settlers and settlements from what the Gaza Strip. At the outset, the right as a whole failed to take Sharon seriously. This allowed the then-prime minister the opportunity to build crucial momentum for one of the most radical operations in Israel's long history of unlikely missions. By the time the right mounted its dramatic, monumental counterattack, it was too late. Now as then, the right is asleep at the switch. The fact that Avigdor Lieberman of Yisrael Beiteinu and Shas' Eli Yishai still occupy chairs at Olmert's cabinet table is but one of the indications. Had they taken Annapolis seriously, they would have brought down the government long ago. The right, spearheaded by the settlers, remains Israel's most potent force for scuttling government initiatives. They have been lulled into inaction, however, by their conviction that a post-disengagement Gaza of Qassams and Hamas rule has turned the Israeli public tide against all prospect of land-for-peace formulas. For their own sake, they might consider that one Sadat-like gesture on the part of Israel's enemies could send tens of thousands of settlers to new homes closer to the Green Line. It's easy to see how religions which basically teach ethical behavior and social welfare can be slowly and almost impercetively merged into liberalism and Marxism at the extreme. I don't even know if the majority of Jews or Christians even saw it coming. For the longest time my parents were democrats because they were for the working and middle class. Gradually that shifted and the democrats came to represent every form of immorality imagineable and called it inclusion and tolerance. Worst of all this idea that there are no moral absolutes. That's when my parents switched and joined the Republican party, something they both swore they would never do because it was supposed to be the party of the rich and uncaring. To Udiyah: I think praying for the unity of Jerusalem and that it remain whole an hour before Maariv is a wonderful idea. How wonderful to perhaps recite every pslam dealing with Jerusalem. I can't for the life of me understand why any Jew would object...unless perhaps NK or maybe Satmar? Or is there some Halacha about what one can or cannot pray for before Maariv? It IS sad that you can't participate in the prayers. This person objecting might be highly educated but is he highly spiritual? That should be of greater importance than his personal views. If this person doesn't want to pray for Jerusalem (and in my opinion directly violate psalm 122:6) the rest of the congregation shouldn't cave in to his bias just to satisy his ego or biases. I have always taken that admonition to pray for the peace of Jerusalem very very seriously. I'd have a major problem with anyone who objected to that. He might be more educated in Judaism than me but on this issue I would have to put my foot down. And if he really objects, couldn't he just not come to the shul until after the prayers for Jerusalem are through? It is an excellent idea to follow-up on the comment sections of previous posts here! As for the settlers, I think they more than anybody else recognize what Anapolis is all about. After all, they're the ones who have been forced out of their homes and continue to have kassams launched at their communities. They ARE the canaries in the Israeli coal mines, coughing and choking but few people are listening to them. Another thought--can Jerusalem be divided? Yes, it is in danger and any politician can split it in two with disasterous results. That doesn't mean we should pray and beseech G-d for it not to happen. What would G-d do if we remained silent and didn't at least try to rescue Jerusalem from being held captive by Arabs? Personally, I don't Muslims or even Christians have any business being at the Wall or on the Temple Mount. It's a holy site. 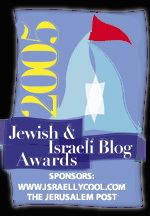 Only Jews should be there. hey, nice picture of ol' Mao. Sorry about the confusion. I think that's what Udiyah meant now that I read the comment over. Sorry about the knee-jerk reaction, I've been doing a lot of that lately. I'm just not used to reading about Orthodox--MO or Hassidic--not wanting to pray for Israel. Is there really a liberal faction of MO Jews who feel that way? The har habayit, the temple mount was for the entire world to come and offer prayer and sacrifice to G-d not just Jews. G-d is the G-d of the entire world. In the days to come, the future, all nations will come to it and all goodness will flow from it into the world. Sultan, Reform became an essentially Liberal Political movement as late as the Pittsburgh platform which renounced the divine for Liberal values. Yes, as the Left has gotten crazier so has reform. There are many persons on the liberal side of Orthodoxy at my shul. It's causing me, I hate to sound like a baby, but it's hurting me. When the fires were raging in Malibu there was a nice article about a Chabad rabbi who welcomed firefighters - fed them, gave them a place to rest. I love these kinds of articles so I sent it out to our list. I received an email back from the President of the Jewish Federation (someone in our Orthodox community). She wanted to talk to me about how I shouldn't be promoting Chabad. This was a person who hadn't said a word to me since I came back from Gush Katif and now she wanted to have a long conversation about how it would harm us if I sent out an article? These are for the most part wonderful, hamish people. But heaven forbid you say something about Mashiach. You might as well have said something about Santa or the Easter Bunny. Some totally scoff at the idea that Mashiach is coming. It was the President of the shul who told me we could not study Torah on behalf of Jerusalem as a community. This shook me.. I'm very right wing. I love Jews. I love Jerusalem. To me these are things worth fighting and dying for for -- whether or not they are Liberal or Conservative! Politics should remain out it. Udiyah, it sounds like you should come to Israel. oops, I left something out. You should come and run for office.